This page will help you decide the music for your civil ceremony. For many, the music is the most personal part of the ceremony – besides the vows – but choosing your music can be a bit of a minefield! It is up to registrars and local authorities to determine that the music played during your civil ceremony, from the arrival of the bride to the departure of the newly married couple, and whether sung or instrumental, or performed live or on CD, must observe this guidance. Popular classical choices are mainly from the Baroque period of music and include the Canon by Pachelbel, movements from Handel’s Water Music and Bach’s Orchestral Suite No 3. Under the letter of the law, Bach’s Wedding Cantata (Weichet nur, betrübte Schatten” BWV 202) and Jesu, Joy of Man’s Desiring (from Cantata No. 147, “Herz und Mund und Tat und Leben,” BWV 147), are not permitted. Ave Maria, whether by Gounod or Schubert or another composer, is a definite no-no. Registrars would allow the following recent hits: A Thousand Years (Christina Perri), the Glasgow Love Theme (from Love Actually) and Marry You (Bruno Mars). You should enquire beforehand regarding the following: Angels (Robbie Williams), God Only Knows (Beach Boys), Angels Cry (Mariah Carey). If you are getting married at Christmas, steer clear of traditional Christmas carols (or at least enquire first). This part of the ceremony can run to about ten minutes as, after the register is signed and witnessed, the couple are photographed by the official cameraperson and then the paparazzi (guests). Despite the hubbub, this is still part of the formal ceremony and the strict rules regarding music should still be observed. Music played here often has no connection with weddings or marriage, but ranks highly on the couple’s list of favourites. Care should still be taken to avoid any songs with religious connotations, especially in the title. If sung or played from a recorded track, it should be listened to first. Arrival of the Queen of Sheba (Handel) – which although from an opera about the wise biblical king Solomon, this is seen to have lost its biblical connections when performed alone. Signed, Sealed, Delivered (Stevie Wonder), One Day Like This (Elbow) and It Must Be Love (Madness) are other regular choices. The music chosen here tends to be more celebratory as the action moves from the prim ceremony to the party-like reception, so it is more difficult to pick music that will not be accepted. The definition of ‘religious’ is left to the registrar or senior registrar. Most local authorities require details of the music for the ceremony to be given to them in advance, often at the first planning meeting; and from then on it cannot be changed without permission. In practice, the interpretation of ‘religious’ varies greatly from authority to authority. Most registrars in the cosmopolitan South East of England are happy for anything to be performed or played, provided it is not directly religious in nature (Ave Maria) or if it is instrumental rather than sung. Registrars in Scotland and, particularly, in Wales are more stringent. A registrar in Swansea would not allow the performance of ‘Angels’ on the violin, while it was allowed in Bucks. Ave Maria was allowed to be performed on the violin in Glasgow, but not in Coventry or Southampton. Consider your music carefully, and if in doubt, always phone your registrar to check. Or contact the General Register Office on 0300 123 1837 for advice – though the decision is always left to the registrar on the day. Remember this aspect of law applies just to the contents of the ceremony, so you can select anything you like for the prelude (as your guests take their seats). 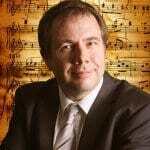 Simon Jordan is a highly acclaimed wedding musician – a violinist and pianist who will play any tune and frequently works with registrars and couples across the UK on their wedding music options, whether live or recorded. Get in touch with Simon now for definitive advice on what will and will not work – and to hear him play live! 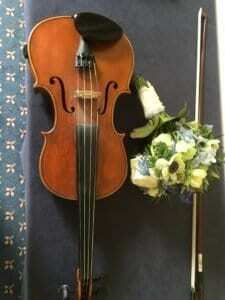 Simon Jordan is a violinist, pianist and music consultant who has worked on hundreds of weddings across the UK.